With the aid of modern tools and sophisticated technologies, we have been able to provide the customers with Air Drying Machine. Manufactured by our experienced professionals, our provided drying units are developed in compliance with the established quality standards of the industry. Post production, we check these drying units so as to ensure their flawlessness. Established in the year 1991, we, “Abhay Products”, are widely recognized as one of the prestigious organizations engaged in manufacturing and supplying a comprehensive array of Work Table, Industrial Tray, Storage Rack, Display Board, Industrial Conveyor, Industrial Trolley, Furniture Chair and many more. Under the offered array, we provide Work Table, Assembly Work Table, Industrial Work Table, Inspection Work Table, Overhead Shelf Work Table and many more. In addition to this, we provide Material Handling Tray, Wire Basket Tray, Tray, Hole Tray, Wire Tray, Table Tray, Enclosed Storage Rack, FIFO Storage Rack, Display Storage Rack, to name a few. 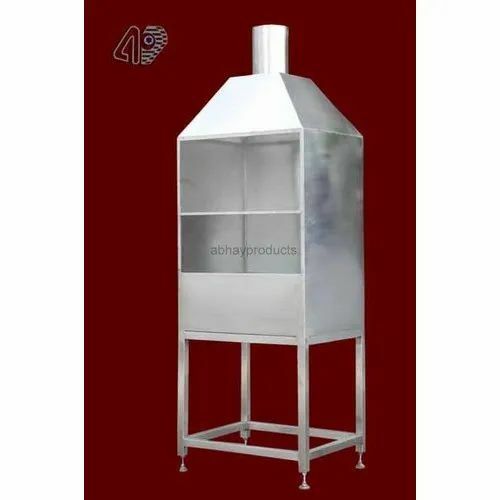 We manufacture the offered products by making use of the high quality raw material and components that are purchased from the most honorable vendors of the industry. In addition to this, we strictly adhere to globally laid quality standards while manufacturing these products. After the completion of the production process, we make these products pass a quality check so as to ensure their flawless design, durability, sturdy construction, resistance against rust & abrasion, easy movement and seamless finish. We are also engaged in rendering Fabrication Service.